The most important aspect when designing/decorating your home is that it’s perfect for YOUR lifestyle. It’s pointless to follow specific design trends if the space won’t work for you. 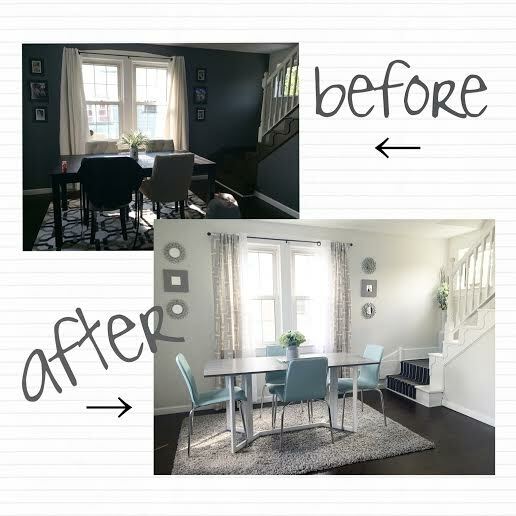 I’ve had the hardest time styling my dining room to fit in with the rest of my house. I feel like since I’ve moved in its been a “work in-progress”. Ah, will it ever end? Probably not, but thats the beauty in homeownership. Find creative ways to stretch your money and make your home reflect your style! 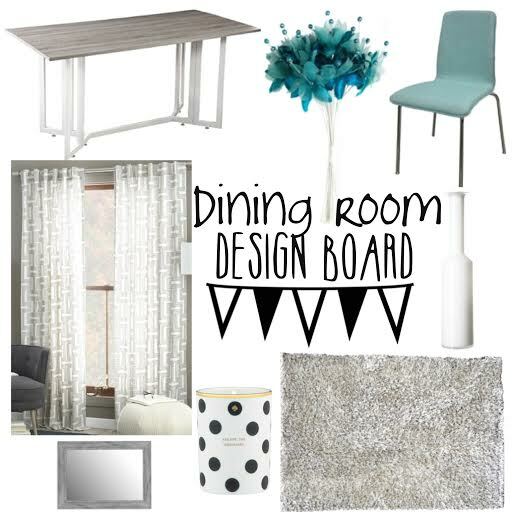 I followed 7 key elements while designing my dining room and they are as follows..
[ .:. one .:. ] Fresh flowers. 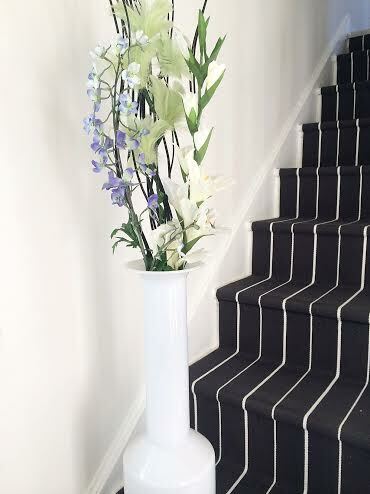 Adding flowers is the easiest way to add life to your room. And they can be swapped out fairly quickly bringing new colors and style to your table. Not all flowers have to be purchased from a florist, these were bought from the grocery store for $8! [ .:. two .:. ] Paint. Paint is one of the least expensive ways to completely transform a room. Color strongly affects our moods, so choose wisely. See how much brighter and airy the room feels just from painting it a lighter, off white color. Very neutral and elegant and works well with any decor. [ .:. three .:. ] Area Rugs. Rugs are a really fun way to add color and texture to a room. I purchased the gray 5’x7′ one from HomeGoods for $100. 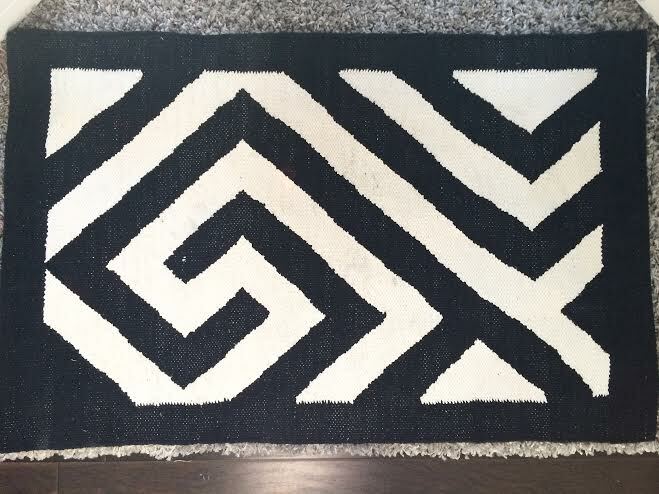 The smaller 2’x3′ black and white rug is the “Broadway” style from Fab Habitat and it really ties in the black and white from my entryway to my stairs. [ .:. four .:. ] Curtains. Curtains can be really expensive, but they don’t have to be! I found these on West Elm’s website for $9.99 a panel (48”x84″) originally around $50 or so each. I bought four, costing me a total of just less than $40! That’s a steal. These are called the “Painted Geo Lattice Motif Trellis” curtains. I love the print, it adds depth to the room and goes with my modern theme. Unfortunately, they’re no longer sold on their website since they were on clearance, but it’s proof that you can find nice curtains for a very affordable price! [ .:. five .:. ] New Furniture. 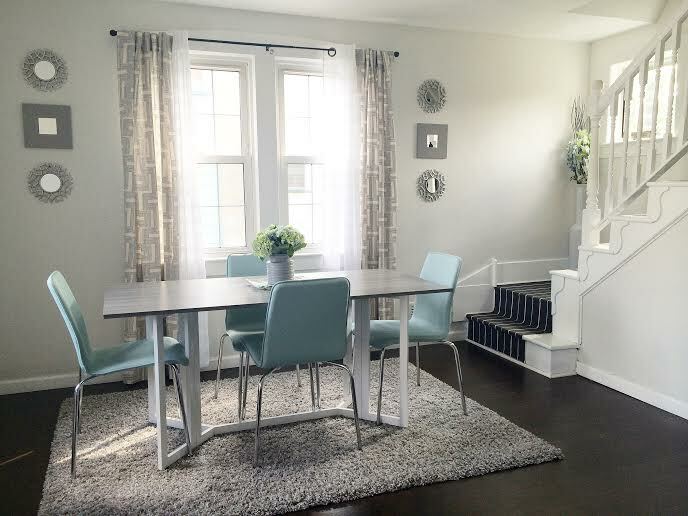 This Holly & Martin Driness Drop Leaf Table was the inspiration piece I used for this room. I hated the dining table I had before, it was too big for the space and just didn’t fit in well. As soon as I saw this table, I knew it was exactly what I wanted and would be my starting piece to this entire project. The table is 63″ W x 31.5″ D x 29.5″ H and fits well in small spaces AND doubles as a console table. I LOVE the weathered gray look and it really adds a modern, clean touch to the room. 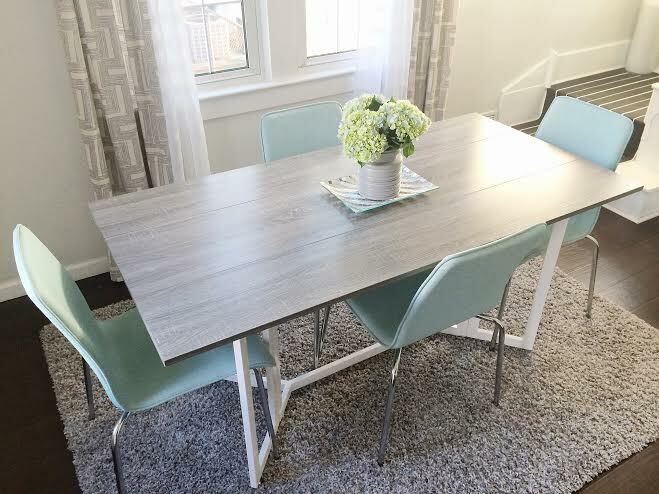 I paired the table with these Target Upholstered Stacking Chairs in light blue. I wanted to add a pop of color and thought these were a fun way to do so. They’re listed on their website for $39.99, but were on clearance at my local Target for around $25-$30 a piece. [ .:. six .:. ] Decor. 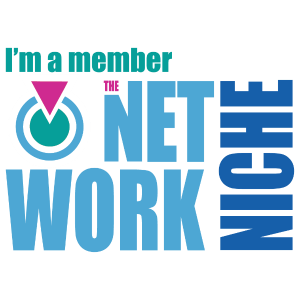 HomeGoods, Target, Ikea, various online retailers, all sell affordable home decor. 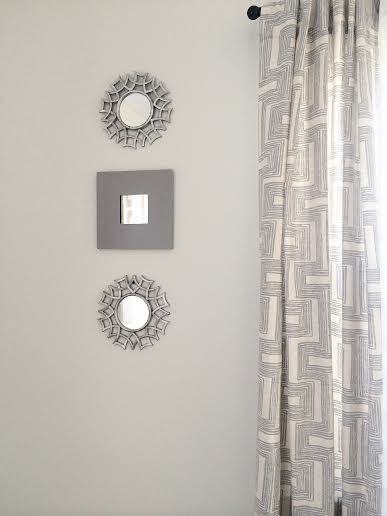 The square mirrors on the wall were $2 a piece from Ikea, and I pained them with some leftover gray paint I had. The other mirrors are from HomeGoods and they were $9.99 for three. 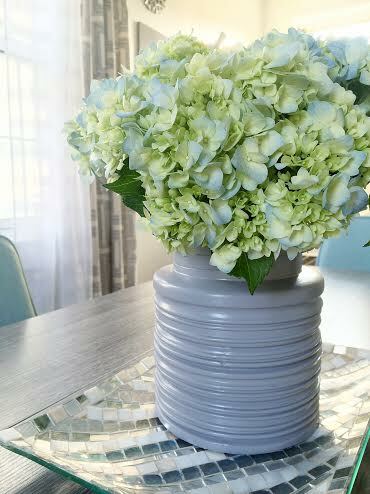 The vase pictured above is from Ikea, and I purchased some fake flowers from AC Moore for $9 total. If you haven’t noticed a trend yet, it’s search and shop clearance items as often as you can! A fantastic way to save a lot of money and still end up with the look your going for! [ .:. seven .:. ] Functionality. Each element should look nice, but also be functional for your personal needs. Be creative and make it your own! If you’re good at DIY projects, by all means, add your own personal touch to make the room even more customized. I hope this inspires you to update YOUR space, and make it exactly what you want, even while sticking to a budget!